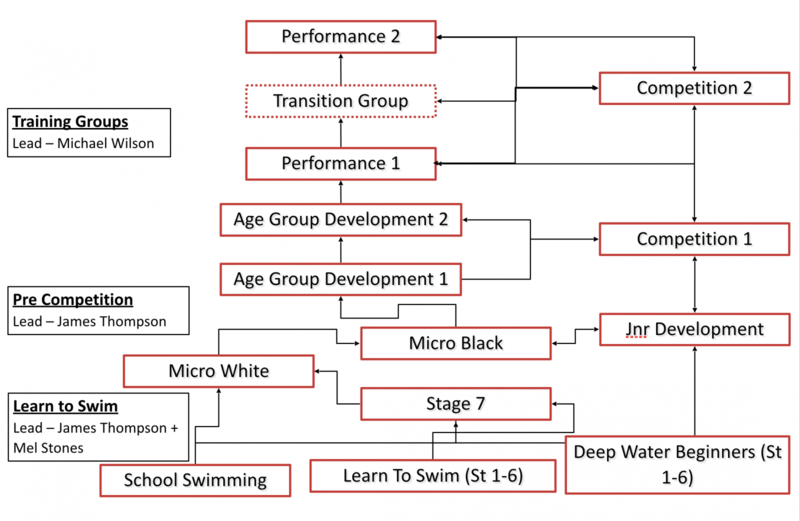 The Pioneer 79 ASC Group Structure is designed to allow progressive development of every swimmer through different pathways in line with the LTAD (Long Term Athlete Development Plan). Squad Criteria and Expectations are in place for to ensure that group selections are not only fair but correct for the individual physiological needs of each swimmer. Various facilities are used for convenience however this should not compromise a swimmer reaching their potential.